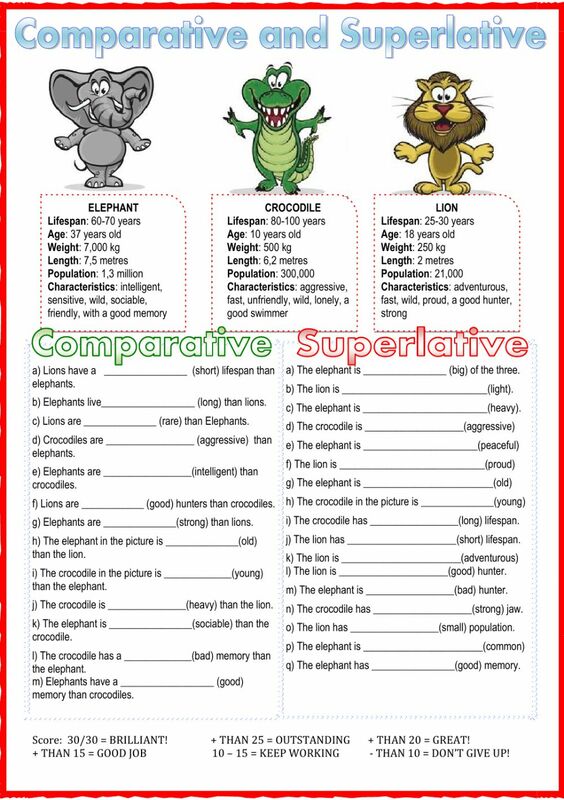 It's an easy worksheet for students to practise the comparative and the superlative of adjectives. Copyright 4/4/2017 Nuria Ortiz Soler. Publication or redistribution of any part of this document is forbidden without authorization of the copyright owner. perfect but Could I print it for my children? Thank you. It's great. Can I download it, please? Hello! I really like this sheet of paper... How can I download it? I want to use it with my students. Thanks! is there any way i could download it ?? ?